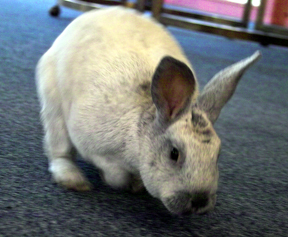 Our store rabbit, Mel Blanc, loves to welcome visitors to Scooter Gallery Seattle. Mel spends much of his day enjoying the lovely waterfront view out of our windows. In between he patrols the showroom to make sure everything is operating in top order. Mel is a Champagne D'Argent, a heritage breed from the Champagne region of France. The breed is uncommon today but was once much more well-known. 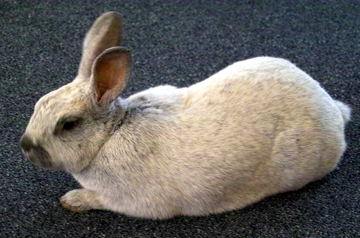 Melinda McBride, co-owner, of Scooter Gallery Seattle is a 4-H Leader and breeds Champagne D'Argent rabbits.